Mason is charged with resisting arrest without violence, reckless driving, possessing less than 20 grams of cannabis and failure to register a vehicle. "I warned the defendant if he did not identify himself he would be subject to arrest and he smirked as he was making eye contact,'' Officer Lester Cochenour wrote in his report. The officer called for backup and warned Mason he would be arrested if he didn't provide identification, the report said. Cochenour told Mason he was under arrest. When the officer attempted to removed Mason from the car by taking his left arm, Mason braced himself against the car's floor, seat and steering wheel. Another officer joined the effort to get Mason out of the car, but he still resisted, according to the police report. "The defendant was warned several times in a composed voice to stop resisting, exit the vehicle and if he did not comply with arrest, a Taser would be used,'' the officer wrote in the report. A third officer arrived, and when another effort failed to remove him, Mason was stunned on his torso with a Taser. He was stunned again outside the vehicle in his pelvis when he refused to put his hands behind his back as ordered, the report said. Mason was then taken to a hospital for medical clearance since he had been stunned. While he was there, bond was posted for him so he was released from police custody and never had to go to jail, said Jaime Hernandez, spokesman for the Hollywood Police Department. Hernandez did not immediately know how much Mason's bail was. Mason recorded the police stop on his phone, according to the police report. Court records listed no attorney for him, and a call to Mason's agent wasn't immediately returned. Mason, 22, has a home in Delray Beach and went to high school in nearby Lake Worth. He was drafted by the Rams out of Auburn University in 2014. 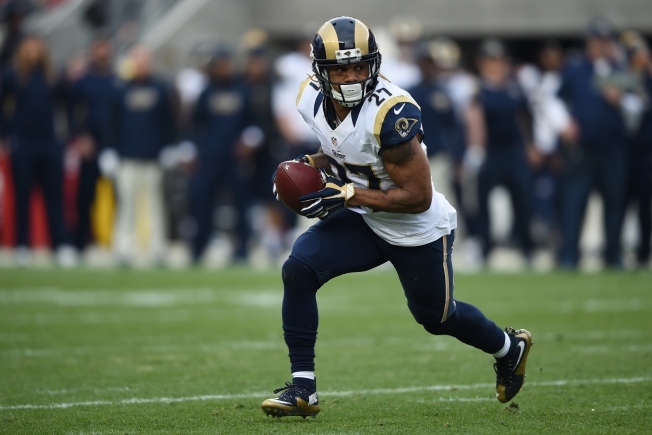 He has played two seasons for the Rams, who are relocating from St. Louis to Los Angeles.